Paul and Makoa answer your most pressing questions about the show. Click on the links below to see the answer to the question. If you have a question that you’d like answered, send it to faq@undeadseriously.com. Remember, there are no stupid questions. I thought zombies are mindless killers that hunger for brains. What kind of budget are you shooting on? Neither of you are film majors; why are you two doing this? How long did it take you to write season 1? Where do you film all of your scenes? Are these questions really sent in by viewers? Both of you do so many things for the show. How do you find time for school work? How much time do you devote to the show? How many seasons will the show run? Why does each room in the house on the show look completely different? Are the two characters Paul and Kamoa based on you two? What is (Un)Dead Seriously? 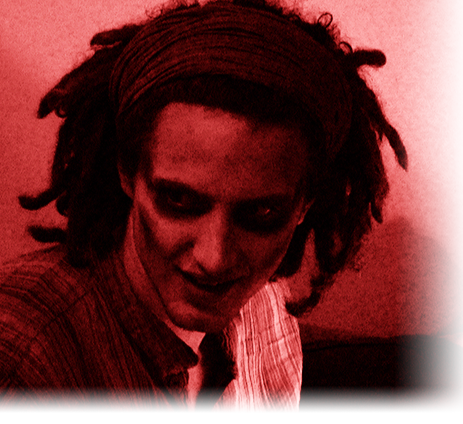 –Andrew F.
(Un)Dead Seriously in a comedy web series about a group of college kids that happen to be zombies. We like to refer to the genre as zombicomedocumentary. I thought zombies are mindless killers that hunger for brains. –Bill N.
First off, that’s not a question, but to answer your statement, yes and no. Watch Dr. Bennett’s explanation video here (video coming soon). What kind of budget are you shooting on? –Paula C.
We are currently shooting on zero budget. We would always like more money to improve the show. If you’d like to donate to the show (and get a special thank you in an episode), go to our donation page (which is coming soon). What kind of equipment do you use? –Mary J. As we have no budget, we are quite limited with our equipment. We use only a Canon GL2 miniDV camera. Our behind the scenes footage is shot with a JVC Everio Hard Disk camcorder. What program do you use for editing? –Joan D.
We primarily use Adobe Premiere for editing. We also use Adobe Photoshop and After Effects for some scenes. How did you come up with the idea for the show? –John S.
Well, NU Channel 1, the school channel at Northwestern, was desperate for programming. So, the two of us sat down and started brainstorming. Several hours later, (Un)Dead Seriously was born, albeit without a title and not as funny as it is now. Neither of you are film majors; why are you two doing this? –Harry P.
Well that’s a stupid question. For the fun it, of course. How long did it take you to write season 1? –Megan T.
With the help of the other 14 writers, we were able to finish the entire first season, over 250 pages, in about 4 months. In this time we also wrote a few season 2 episodes, brining the (Un)Dead Seriously written material grand total to over 300 pages. Where do you film all of your scenes? –Keegan W.
The answer to that question is quite complicated. The general answer is Evanston, IL. To be more specific, we film most of our scenes on the Northwestern University campus, but some are off campus. Are these questions really sent in by viewers? –Tina K.
I think the fact that we put your question here answers your question. Who designed your website? –George B. Our website was designed by J.D. Bryant, a student at Northwestern. We modified the design slightly, but without his original design, you would not have this awesome website. Can I be on the show? –Michael S.
Sure! We regularly need extras for scenes. If you live in the Chicagoland area, just keep an eye on the news blog for any calls for extras. If we’re looking for actors for certain episodes, we’ll also post that on the news blog. Of course, you’d need to come to NU to audition and what not. Both of you do so many things for the show. How do you find time for school work? –Kyle Y.
That’s a good question. We don’t have an answer for that. We can tell you that the show has not lowered our GPAs, though! How much time do you devote to the show? –Nancy D.
(Un)Dead Seriously takes up a lot of our time. Our weekends are largely dominated by filming. Also, we film on some weeknights. The other weeknights we spend editing, writing, managing the web site, and preparing for the next shoot. How many seasons will the show run? –Derrik O. At the moment, we have two seasons planned. Season 1 is entirely written, and season two is in the works, with some episodes already written. After that, it all depends on you, the fans. Why does each room in the house on the show look completely different? -Peter J.
We’ll come back to that one later. Well, Anonymous, we’ll leave that up to you to decide.